This Bean Dip has only 3 Ingredients and is the easiest and tastiest bean dip you will ever make! This Bean Dip Recipe is utterly addictive and shockingly easy – it takes less than 5 minutes to make! It is mega creamy and fiesta flavorful. Usually I am skeptical when a recipe has so few ingredients but I promise this Refried Bean Dip delivers a huge explosion of YUM! It is perfect for an after school snack, movie night, parties and Game Day. 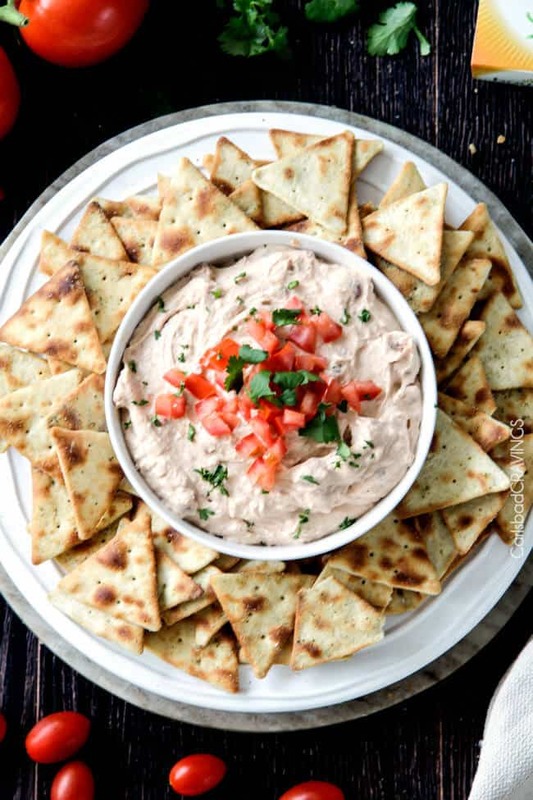 You need this bean dip recipe in your back pocket of your party pants! I have a confession. As a kid, I used to at spoonfuls of cold refried beans. As a college student, I used to create homemade Refried Bean Dip by layering refried beans, taco seasoning, sour cream, and cheese then microwaving until bubbly delicious. As an adult, I face plant into this outrageously delicious Refried Bean Dip. Because, while black beans seem to get most of the love, to me, it is all about pinto beans, especially when it comes to irresistible creamy perfection. 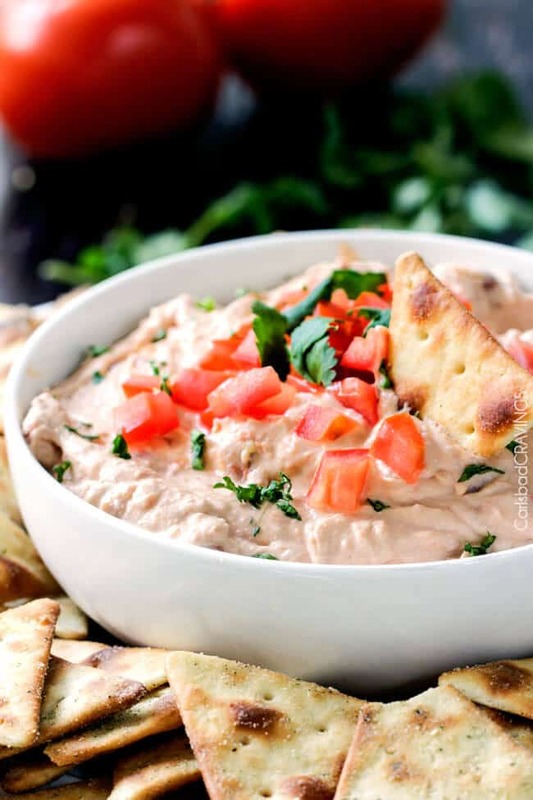 This Bean Dip recipe is made with creamy refried beans, Boursin® Monterey Jack and Spicy Pepper Cheese Dip. and sour cream. You can pick up the ingredients once and you’ll be ready to make the best bean dip at a seconds notice. And it will disappear almost as quickly because everyone loves this Refried Bean Dip from children to teenagers, to adults to grandparents. 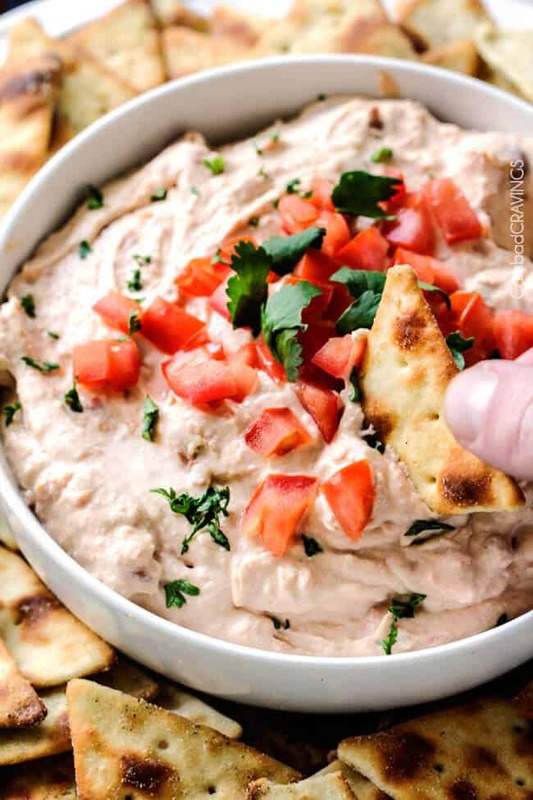 Another fabulous aspect of this easy Bean Dip recipe is that you can serve it hot or cold so it is mega convenient and still spectacular even as it cools down. I personally like the bean dip cold, but I would like it any way it is served because it is just SO GOOD! I like to think all of Carlsbad Cravings recipes are really flavorful from my Queso Fundido, Cheesy Chili Dip, Queso Verde Corn Dip, and Jalapeno Popper Dip. If a recipe needs an extra spice – I am going to add it, even if it means the ingredient list gets a little longer – because your foodie experience is worth it! So for me to post a 3 ingredient Bean Dip recipe and to go a step further and claim it as “the BEST” is a shock – even to myself. But I totally believe it is. And I think with one chip-full of this Refried Bean Dip you will agree. First, let me explain how this easy Bean Dip recipe accidentally came to be the “Best ever.” As a food blogger, I make my income through ads and through what’s called “sponsored posts” or when a brand pays me to use their product in one of my custom recipe creations. I don’t do a ton of sponsored work because I am quite particular about who I work with AKA I have to love the product. This past week, however, I created a custom sponsored post for Boursin® Cheese (love!) in which I created a Bruschetta Cheese Ball (yes, it is amazing) using Boursin® Garlic & Fine Herbs Cheese. While at the store, I also picked up Boursin® Monterey Jack and Spicy Pepper Cheese Dip because it intrigued me. Have you tried this creamy heaven? 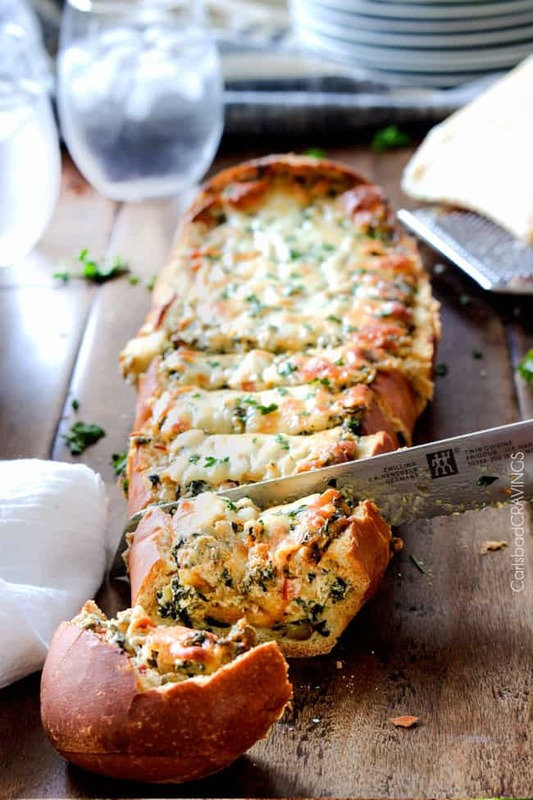 Its creamy, cheesy and spicy! Its so packed with fiestalicious flavor that I instantly knew it would make the best Bean Dip base without even adding any spices! So I whipped it with 1/2 cup of sour cream and a can of refried beans and the BEST EVER Bean Dip was born in virtually minutes! So no, this is not a sponsored post, this is just me sharing my borderline obsession with Boursin® Monterey Jack and Spicy Pepper Cheese Dip and the deliciousness that it can create in minutes AKA Best Bean Dip recipe AKA the easiest, appetizer that tastes like you spent hours perfecting the spices and creaminess. It can be our little secret. What Ingredients Do I Need for Bean Dip? How do you make bean dip? Add the Monterey Jack and Spicy Pepper Cheese Dip, sour cream and refried beans to a large bowl and mix until well combined. You can serve your dip hot or cold – its delicious either way. To serve hot, simply microwave then stir until warmed through. What Can I Add to Bean Dip? I would only add freshly grated cheese if you are going to making this into a hot Bean Dip then you can stir in some extra cheese into the Bean Dip itself and melt on tot as well. I would suggest tasting your Refried Bean Dip first and if you want some more heat then stir in either canned, diced jalapenos, a dash of cayenne pepper or hot sauce. 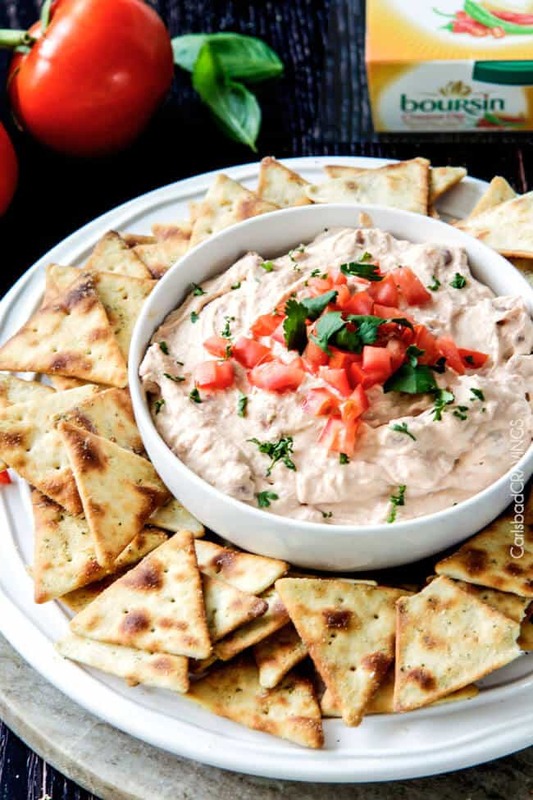 What Do you Serve with Bean Dip? Want to try this Best Bean Dip Recipe? 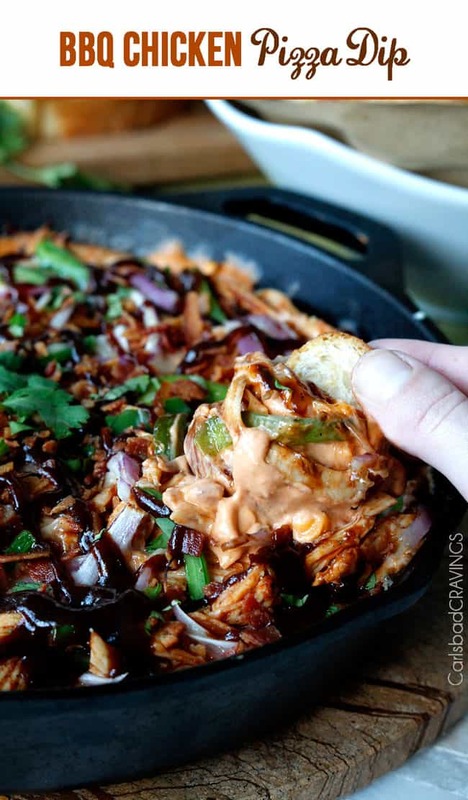 Pin it to your appetizer, Mexican or entertaining Board to SAVE for later! This Refried Bean Dip has only 3 Ingredients and is the easiest and tastiest bean dip you will ever make! You need this recipe in your back party pocket! Add all of the ingredients to a large bowl and mix until well combined. Serve hot or cold with tortilla chips and or/crackers. * Boursin® cheeses are located in the Deli section of your grocery store. Try adding this dip to a pound of cooked ground beef along with some taco seasoning for amazing burrito filling! Thank you Jen for the simple dip. Sounds so good. You are so welcome Liz! I really love it and hope you do too! Hi Jen! This sounds insanely good! And just three ingredients, two of which I always have on hand! I’am rather a bean fanatic – refried beans, pinto beans, black beans, kidney beans baked beans, I love them all! I like to have some kind of dip on hand for afternoon snaking and this is at the top of my list! I hear ya on the bean fanatic thing – me too! This has to be one of my new favorite ways to eat beans and I think you will love it too! Happy snacking :)! I also love Bourisn cheese but haven’t tried this Monterey Jack and Spicy Pepper one yet but I will be making this Bean Dip soon! Thanks Jen! You are so welcome! I am excited for you to try it! I love how simple this dip is. Simple, yet so gorgeous. Thank you so much! 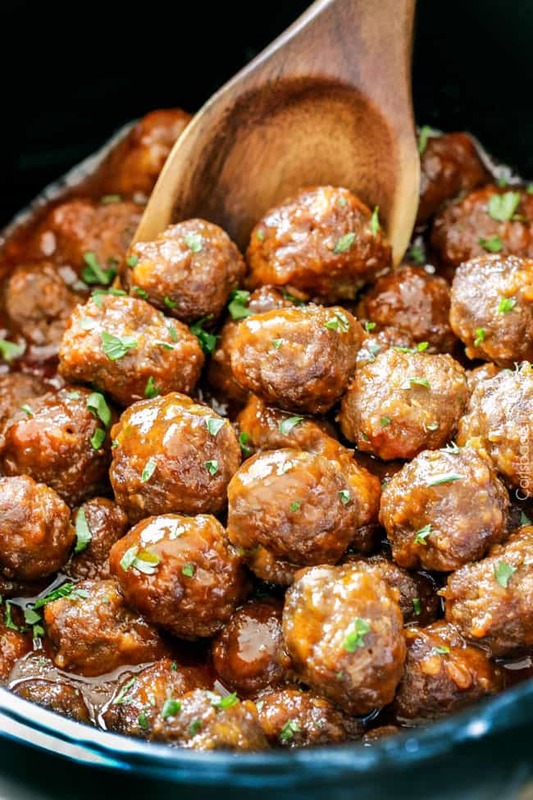 I am usually skeptical of such simple recipes but this one is a winner! Isn’t it the best? I wish I could use it in place of regular cream cheese in every dish! Thanks so much Kathleen! beans, cheese, and sour cream sound just about perfect to me! Thank you Heather – agreed! Can’t go wrong with that trio and the spices in the cream cheese are amazing! Hey, I just found you through Yummly. I read your sweet love story and felt connected. Not because we have too much in common, just because I was really touched by your grace. I too am a member of the Church of Jesus Christ of latter-day Saints. I guess we have that in common. I wish you well. I hope you’re healthy and happy. This dip is so easy and so good. Thanks for sharing it with us. It’s on my grocery list again this week, yummy! Awesome, so happy you love it Judith! Have a great weekend and Happy Easter! Hi. Just came across this recipe on your blog when I was looking at your Bruschetta cheese ball recipe. I am excited to try this one too. Silly question for you though, what are the chips or were they crackers that you had pictured with this dip? Those looked so good to serve this with! Thanks! Hi Heather, it is the toasted baguette that I have pictured – directions are in the recipe 🙂 Enjoy! So for the confusion, but I am speaking about the cracker/chips on this recipe, the 3 ingredient bean dip recipe.. Thank you! Oh so sorry Heather! These are Town House Pita Crackers – super yummy! Carlsbad Cravings is the first place I go for really good recipes and ideas to get me cooking what my family loves, only a few steps better; more flavorful and fun. I am on my way to the kitchen to make the meatloaf muffins. Thank you for sharing your expertise Jen! You make me look good, as I am always getting glowing reviews and hugs for the good food around here. Hi Jessi, I am so flattered you are enjoying my recipes and I love your description of “only a few steps for more flavor and fun!” – you totally get me! Thank you so much for taking time to comment and for making my day! I hope your family enjoyed the meatloaf muffins and you received more glowing reviews :)! Thank you!! PS Your food pictures are some of the best on the internet! They make me want to go to the trouble to cook up something grand. I was wondering what fresh green herb did you top the bean dip with. I love the pop of color with the tomatoes and herb. oh no! They may have discontinued it – so sorry! I’m over in Canada and I cannot find the Monterey Jack and Spicy Pepper Boursin cheese either. 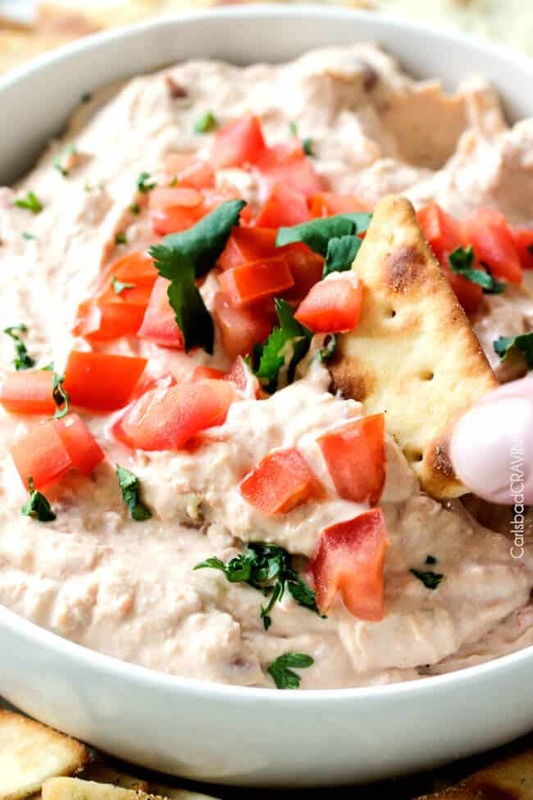 Do you have a substitute cheeseyou would recommend using to make this dip? Hi Steph, I would just use whatever you can find that is closest and spice it up with chipotle peppers and green chiles. I’ll have to write a new dip recipe that doesn’t have ethos cheeses. sorry! I couldn’t find it either. Instead I am substituting Alouette garlic and herb and adding a dash of chili powder for spiciness. I just stumbled upon your page ! Very nice, well organized, and easy to navigate ! ‘Round my part of the planet we do not have this flavor of boursin, I would have to use the garlic and chive one, but to supplement the tex mex flavors of your special cheese, what would you recommend I put in spice wise to take it back up to your level of tastiness? Hi Steve, welcome to my blog! Seeing as this recipe is only three ingredients, that particular type of boursin cheese packs a punch. I would have to do some experimenting before I am able to tell you how to make the dip without the cheese. For now, I would just add taco seasoning (store bought or homemade) to taste and maybe some diced green chiles or jalapenos.